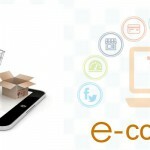 As e-commerce companies are spending huge money across our country, they are experiencing the remarkable growth on online markets. 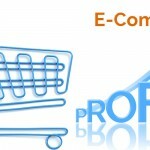 With e-commerce expansion at a hopeful stage, the markets will reach their heights of improvement. However, the economic strategies in the country can impact growth on business. In an unexpected and unforeseen move on November 8 2016, the Indian government implemented that high value notes of Rs 500 and 1000 will be banned and it reduces use of 86% currency in circulation, creating a cash crisis in the economy. In India nearly 90% of transactions are carried out in cash. It is bold move to transform the nation in to a cashless financial system. This move is on both stopping corruption , reducing the “black money” and to bring on more digital payment systems. Experts consider that demonetization might impact the nation’s economic growth much in the short period of time. Ambit capital a well known research company in India has its growth GDP of 7.3% in the past financial year ,had drastically reviewed its opposing GDP to 5.8% for the fy18 .This currency crunch has shook a several businesses and can have a significant impact on the” cash on delivery” model of e-commerce companies in India. 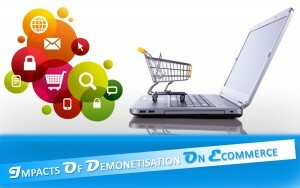 About 70% of online shoppers, in India including big giants of ecommerce adapt for cash while buying a product. The cash payments are more often done for high value products where the unaccounted “black money” is spent on luxuries. While, online shopping companies have seen a rush in revenues with the demonetization move as customers are looking to buy the necessary goods through digital payments. Gross business value of other high value properties is likely to be damaged negatively .According to research, the cash banning will bring the “cash on delivery” share of e-commerce sales goes down and increase the online payments .